A regrettable truth in family law often finds one parent unilaterally removing a child from the other parent while dissolving a marriage without any grounds or evidence of wrongdoing. Not surprisingly, disturbing numbers of children are routinely separated from loving, responsible parents for reasons that have nothing to do with their wishes, safety, health, or welfare and many times have to do with a lack of proper legal counsel. In 50% of the marriages that end in divorce, 80% of these are over the objection of one spouse (close to 100% when children are involved). I am sure you have heard about “custody battles,” but you probably do not know that many start out with one parent taking a child from the other and refusing visitation until a court orders possession sometimes months down the line. You have heard about the witch hunt for “deadbeat dads,” but did you know that many of these fathers are well educated men who have lost their jobs due to a downtrodden economy and still love their children and want to play a leading role in their lives and upbringing. You have heard the hysteria over “child abuse,” but did you know that many accusations against fathers are shown to be false and used by one parent as a weapon to alienate the children from the other parent. David Popenoe in his book “Life Without Father” tells us that negative consequences of fatherlessness are all around us. Evidence indicating damage to children growing up in fatherless homes has accumulated in near tidal-wave proportions. Fatherless children experience significantly more physical, emotional, and behavioral problems than do children growing up in intact families. (Information from Mark Hall, Father’s Manifesto). “I’d take my son for our court-ordered visits, only to drop him off two hours later, so another man could bounce him off his lap. Ironically, each new boyfriend was given all the time he wanted with my son. At first, it killed me, but I decided, “Whatever’s best for my boy. His happiness must come first!” Though it stung terribly, that attitude sustained me all the way to Christmas. It is a sad scenario. In divorce court, many fathers are left feeling that everything they have done, years of hard work, years of tender love, years of unstinting devotion to their family and children count as nothing. In the 1960’s women fought hard to get laws passed to protect them against family violence, stalking and sexual harassment. The shame is that women of the 1990’s now use these same needed and appropriate laws wrongfully to their advantage and feel justified in punishing their spouse for wrongs they feel have been done to them by misusing the legal system; and in the process erase fathers from the lives of their children! The facts are that many times the courtroom becomes a legal battleground. Inadequate counsel or absence of counsel can result in decisions that negatively affect children and the family for years to come. Parental Alienation Syndrome is the systematic denigration by one parent with the intent of alienating the child against the rejected parent. In most cases, the purpose of the alienation is to gain custody of the child and exclude involvement by the rejected parent. In other cases the alienator wants the rejected parent out of the way to start a new life, or the aligned parent wants more of the marital money and assets than he/she is entitled to and uses the child as a pawn. The aligned parent hates the rejected parent and the children become false weapons. These are just a few reasons Parental Alienation occurs in domestic disputes. Parental Alienation Syndrome is common because it is an effective though devious device for gaining custody of a child. Through systematic alienation, one parent may slowly brainwash a child against the other parent. The parent involved in such alienation behavior then may gain the misplaced loyalty of the child. In a recent survey, one in five parents stated that their primary objective during the divorce was to make the experience as unpleasant as possible for the former spouse; despite the effects such attitudes and behavior have on the children. Parental Alienation Syndrome is a form of emotional child abuse. Parents in hostile separations may suffer depression, anger and anxiety or aggression. The expression of these feelings results in withdrawing of love and communication which may extend to the children through the alienating parent. When the mother is the alienator, it is a mechanism employed to stop the father from having contact with his children; and can be described as the mother holding the children “hostages.” The children usually are afraid of the mother, frequently identify with the aggressor, and obey her as a means of survival. The child may also be instilled with false memories of the father, coached and/or brainwashed. Studies show that Parental Alienation is experienced equally by both sexes. Adolescents (ages 9-15) are usually more affect than younger children. Children most affected tend to be those subjected to parents’ highly conflicted divorces or custody battles. A study by Fidler and Bala (2010) show increasing incidences and increased judicial findings of parent alienation in the US. 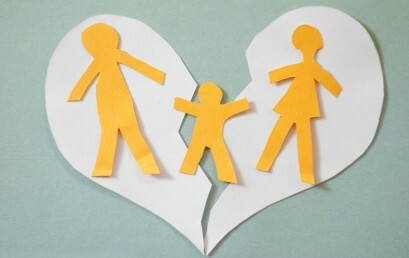 11-15% of all divorces involving children include parental alienation issues. If the parental alienation has been successful and has influenced the child against the target parent, the observer will see symptoms of parental alienation syndrome. Many children appear healthy until asked about the target parent. The child is a “parrot” of the aligned parent with the same delusional, irrational beliefs and consistently sides with this parent. Denys suggestions that their hatred for rejected parent is based on views and behavior of aligned parent. Idealization of aligned parent and wants to constantly be in the aligned parent presence. The child develops serious hatred for the rejected parent and rejects a relationship with the rejected parent without any legitimate justification. The child sees nothing “good” about the rejected parent and only wants to destroy the relationship. The child refuses to visit or spend time with the rejected parent, frequently faking fear. The child’s reasons for not wanting a relationship with the rejected parent are primarily based on what the aligned parent tells the child. Accusation against rejected parent too adult-like for the child’s age. The child feels no guilt about his/her behavior toward the rejected parent and will not forgive past indiscretions. The child’s hatred extends to the rejected parent’s extended family, friends, partner, or Idealization of aligned parent aligned parent without any guilt or remorse. Ignores/rejects the rejected parent in the presence of the aligned parent. Parental Alienation Syndrome is recognized by the courts but is very difficult to define and in most cases requires bringing in County Social Services, Child Protective Services, and/or other professionals. Anyone claiming Parental Alienation Syndrome should look for family therapy as a constructive way forward. Other forms of abuse are physical, sexual, and neglect which are much easier to identify. Children having some of these symptoms need help. Please contact an attorney and discuss your options on how to help this child. Formulate a plan to move forward. Do not give up your parental rights! Your child desperately needs and is entitled to your help!